The trio shares the books that changed their lives and how they’d spend 15 unexpected minutes of free time. Jilly Hendrix: Think about my impending almond milk latte. Greta Titelman: Think about what I want to accomplish in my day. Lo Bosworth: The first thing I do in the morning is take my puppy Blue out for a walk around Noho! JH: I love exercising first thing in the morning before starting anything work related. GT: My family and friends. LB: Getting enough sleep and enough exercise is what gives me energy to keep moving through the day. JH: Taking a lot of notes! GT: I don’t think it’s a secret but gratitude! TG:Tell us about your relationship with your phone. Does it sleep with you? JH: I keep my phone and computer outside of my bedroom and solely use my bedroom for sleeping and other bedroom activities, like naps. GT: My phone sleeps on my night stand and functions as my alarm. I really want to make it sleep in the other room! I go through waves of my phone. Sometimes I’m stuck to it like glue but other times I can’t be bothered and am happy to let it die. LB: My phone lives across my bedroom at night and once I make the decision to go to sleep I don’t look at it again until I wake up. JH: Not well! I typically read emails and respond later, but am really trying to respond as soon as I open an email. GT: I first respond to every email that needs a response and then email whom ever is on my list for the day. I much prefer phone calls as I like to have immediate conversations. LB: I’m an erratic emailer — either very good or very bad. JH: I would like to say meditate but really I just look at memes. GT: Sit and enjoy the day for a moment. LB: I try to sit outside if the weather is nice during free moments. JH: Last week! I flew to LA for 24 hours and the back-to-back flights got me. GT: I typically feel burned out a few times a week mostly because of lack of sleep and the pressure I put on myself everyday to perform and work to the best of my ability. LB: The last time I moved to a new apartment was so stressful and tiring! It took weeks to get over it. JH: I fail at something big or small at least once a week. I find the more you fail the easier it is to take chances. You eventually lose the feeling of rejection and aren’t afraid to challenge yourself and try new things in your career or life. GT: I feel like life is a constant cycle of failures followed by successes and so on and I overcome each failure by putting things into perspective, realizing the ways I can grow from the failure and recognize that it just means I am actually trying to succeed and that is what is important. LB: We had an inventory mistake happen with my feminine wellness company Love Wellness — being out of stock of our best-selling product, The Killer, made me feel like I handled everything wrong! It took weeks to get it back in stock but being mentally strong and accepting of mistakes is the only way to get through it. 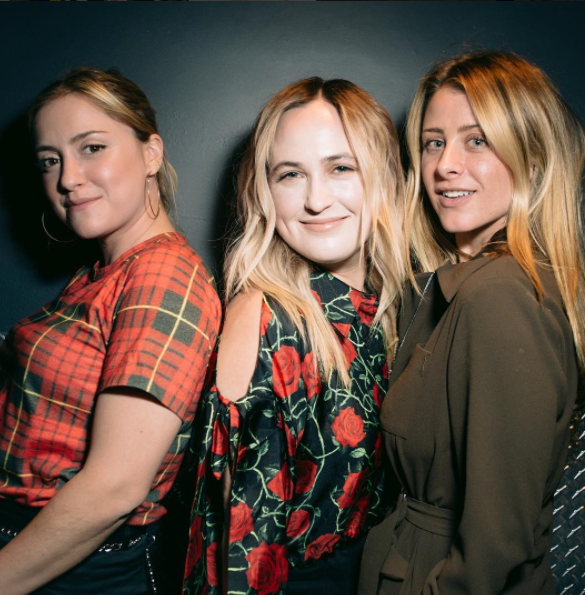 Lady Lovin’ is a podcast by Jilly Hendrix, Greta Titelman, and Lo Bosworth. They tackle a variety of topics from relationships to health & wellness to business and start ups. Lady Lovin’ is all about inspiring women to stay true to who they are and loving the skin you’re in and the life you live.